In order to check that the drainage pipe isn’t blocked you’ll need to remove it from the washing machine. Then to make sure it’s all clear either blow air through it – or use a hair removal tool from your local hardware store to pull out any obstructions. 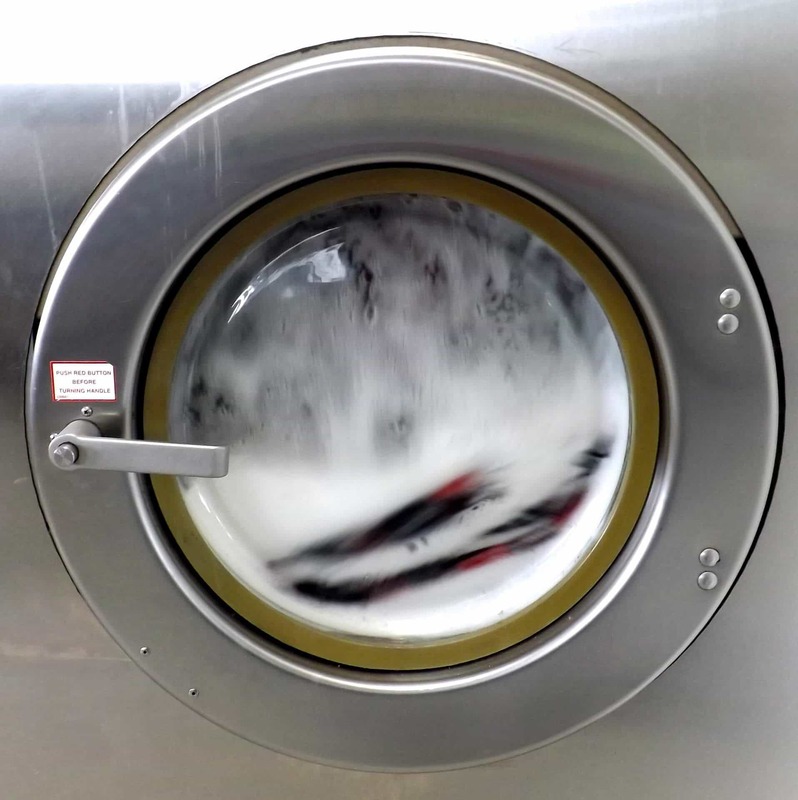 When the pump isn’t working properly it can’t get rid of excess water at the end of the wash cycle. All kinds of small items can obstruct the pump – from keys and coins to children’s toys. Locate the pump and disconnect it from the washing machine. Look for any lodged items and remove them, and then reassemble. If clogging isn’t apparent then you can check the pump belt as it may be loose or broken. You can get a replacement belt and fit it before the reassembling process. Cat and dog hair, fluff and lint are all culprits that can clog the filter. Remember to place a container to put the pipe into as there’ll be a surge of water before you can turn the filter and remove it to clean. It’s a good idea to run a rinse and spin before you do another load of washing to test all is well. If your drain is clogged you’ll get water on the floor whenever you use the washing machine – as this results in a back-up of water from the plumbing drain and into the trap. You can easily rent or buy a drain snake from your local hardware store to allow you to investigate. The washing machine lid switch causes the machine to stop running when you open the lid – the machine will start again when you close it. Inspect it for wear and tear and damage as a faulty lid switch could be the source of your problem. You may be able to order a replacement part from the manufacturer. In need of help contact our engineers at 020 3773 7520! If your washing machine is full of water you’ll need to empty it before you try any of the above. You’ll need to unplug the washing machine and pull it away from the wall, inspecting the drainage pipe as you go – a kinked hose will explain why the machine isn’t draining properly. If the hose isn’t kinked you’ll need to get rid of excess water using a bucket before removing the hose from the back of the machine and letting the rest of the water drain out. Check the pipe for clogs before you put it back. Need a fully qualified engineer? Any washing machine repairs that you simply can’t tackle will be swiftly carried out by trained technicians from Mix Repairs. You’ll be able to get a quick quote and a service that comes with a six-month guarantee. There’s no call out charge, and a return visit is also included. As soon as your washing machine has a problem you’ll be able to book a repair service for the very same day.